You may know someone who thinks they know everything about wine and they insist certain foods go well with certain wines. For instance red wine and red meats are suggested to be a match made in heaven. However, new scientific research now knows the reason behind the mystery. Researchers from Rutgers University and Monell Chemical Sense Institute found that foods can be rough, dry or even slippery. A red wine with its rough or dry taste, is an oral astringent while steak, and other fatty foods, fall on the opposite side of the spectrum, acting as a lubricant. "Fat makes the mouth overly lubricated and astringents make the mouth underlubricated," Breslin told NBC Bay Area. "So we wanted to test the idea that these two sensations were at opposite ends of oral lubrication sensations. And if this were true, they should oppose one another the way hot water cancels out cold water and vice versa when they are mixed." Researchers initially did not set out to determine why steak and red wine go together. Their main purpose was to understand how food, and our choices to pair certain foods together, works. They hoped the study will educate individuals to understand the reason behind salad dressing, such as the mixing between acids and oils, as well as understanding the concepts of pairing ginger with sushi, or soda with burgers and French fries. The study revealed because wine is dry and beef is slippery, the tastes are opposite and are consistently working to reduce the opposing sensation when an individual consumes his or her meal. "The opposition between fatty and astringent sensations allows us to eat fatty foods more easily if we also ingest astringents with them," Breslin said in a statement. "Work is still required to determine how different wines, teas and acidic foods, such as pickles and sorbets, vary in their efficacy of ameliorating oral fatty sensations during meals, and whether differences among individuals in the degree of cleansing effect by astringents is linked to their respective differences in oral tactile sensitivities.," researchers concluded. This study was published in the journal Current Biology. 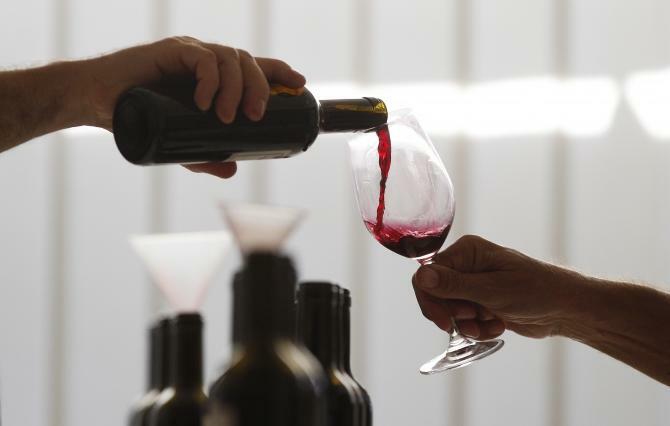 Drinking Red Wine May Prevent Cancer, Diabetes and Heart Disease, But Can It Stop Alzheimer's?